During brunch, after dinner, with a view or pre-going out; cocktails are a good idea, whatever the occasion. Amsterdam has an amazing range of cocktail bars, from laid-back hang outs to elegant venues and cocktail sipping with a view. Lucky for you we know what the 13 best cocktail bars in Amsterdam are. Read on to find out where to go for a perfectly stirred, shaken or mixed cocktail. Because doing it right is an art! Tales & Spirits is located in a multi-level building with a cocktail bar and restaurant serving both bar bites and amazing dishes alongside perfectly stirred cocktails. Both the interior and the use of vintage glassware attribute to their unique atmosphere. Expect carefully created cocktails using innovative culinary & mixology techniques. The food menu has some delightful, international dishes including oysters and veal tartare on there. As the people behind Tales & Spirits believe in eating all day long, the kitchen stays open until late. 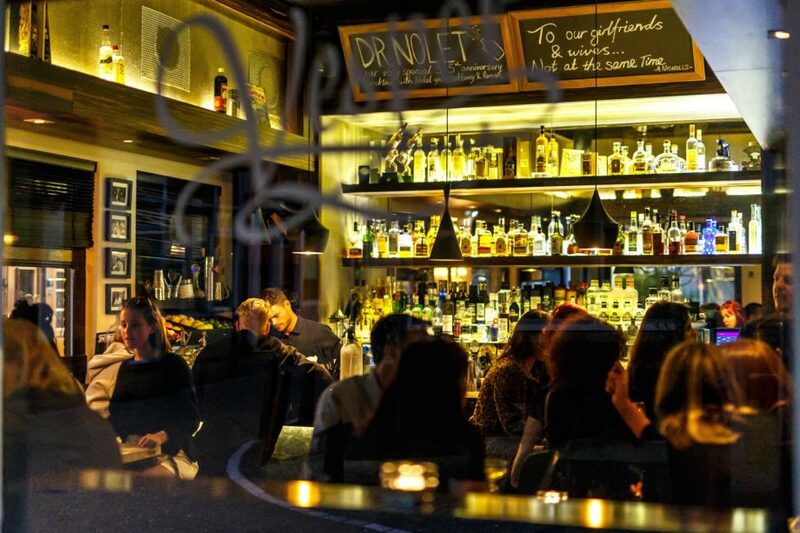 Vesper is a laid-back bar that has become a household name in the bustling area The Jordaan. On weekends locals from all over town gather here for a relaxing night with drinks and friends. 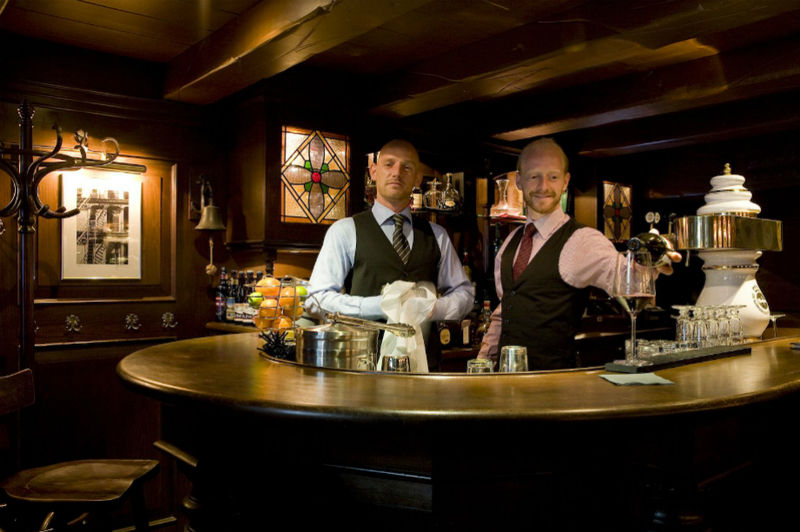 The always cheerful staff will shake up anything you like from their extensive cocktail menu. From seasonally infused drinks, to the signature Vesper martini or classics with a twist. They always make sure to serve you a cocktail with tasteful intriguing combinations. 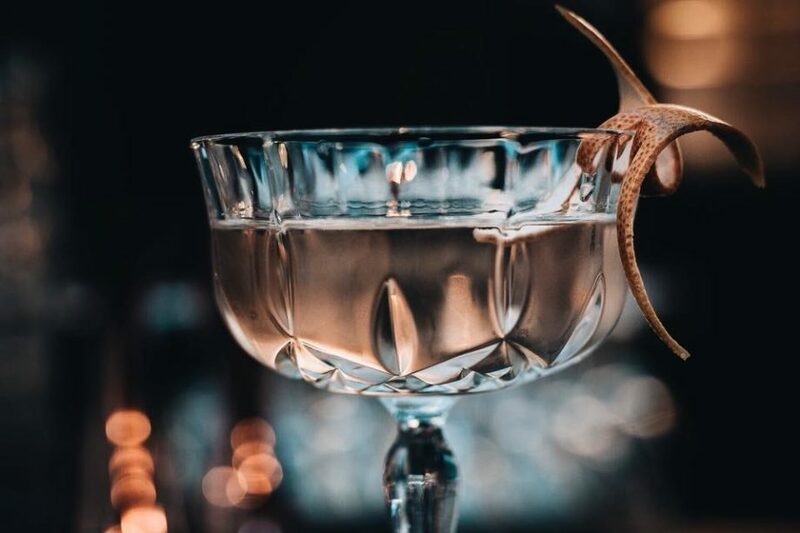 The Flying Dutchman was nominated for “best cocktail bar 2018” and we know why. This bar is owned by two of the most well-known mixologists in Amsterdam: Timo Janse and Tess Posthumus. 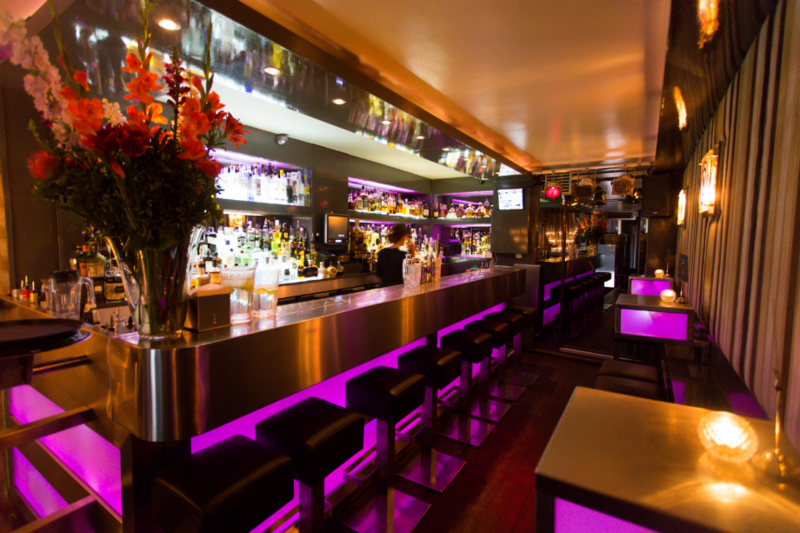 With the bar holding over 500 bottles, you’ll be sure to find something you love here. 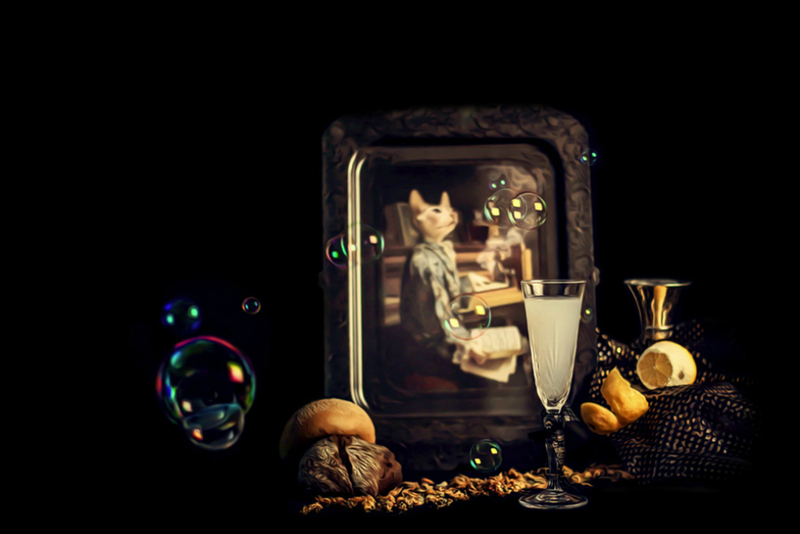 Their focus is on old- but golden classic cocktails, with a perfect balance in flavors. They use the best spirits and fresh garnishes, to ensure the qualities of every ingredient is highlighted in the right way. 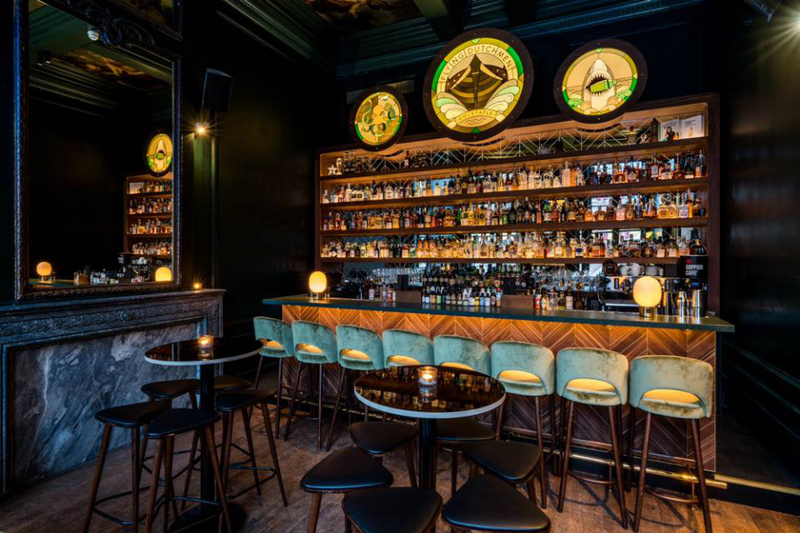 Door 74 is the first speakeasy style cocktail bar in the Netherlands and can be found behind a hidden door in Amsterdam’s city center. 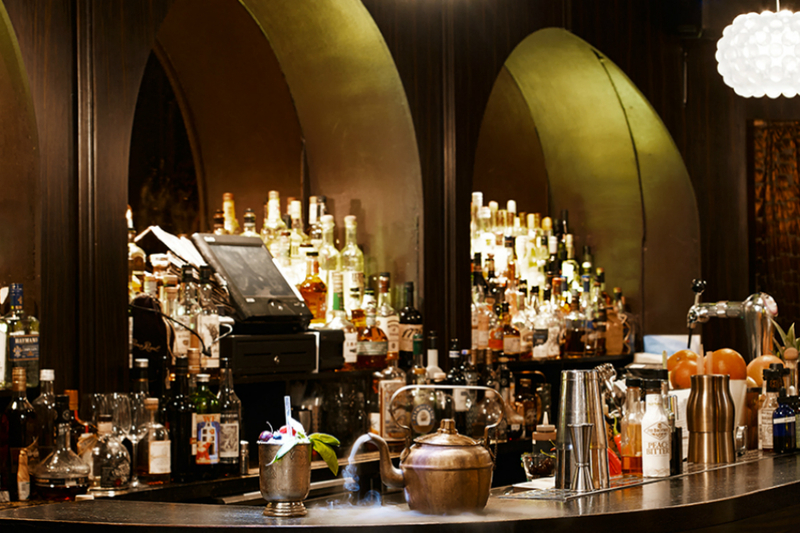 Their antique barware, art deco tin ceiling and perfect service makes for an elegant ambience. 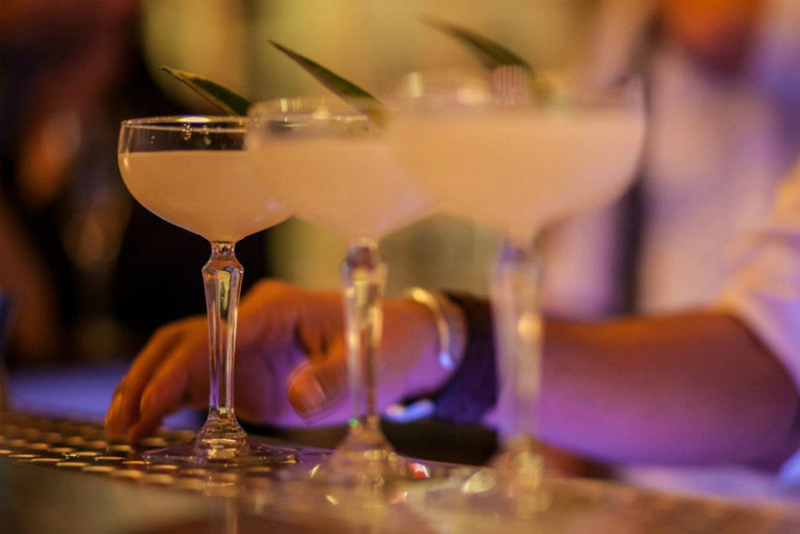 Trust the exquisite skills of the expert bartenders and be amazed by the tastes they create. Be sure to dress for the occasion! The Butcher is something special. They have several spots in town serving top-quality burgers, using the freshest ingredients. What many don’t know is that the Butcher located at the Albert Cuyp Market has a secret entrance to one of the city’s most exclusive cocktail bars. Ask around, you might get lucky and find someone to get you in. Next to that, you have the newest addition to the group: the Butcher Social Club located underneath the A’DAM Tower. This place is an adult playground! Think arcade games, table football, a large dance floor and enough space to hang around with a group of friends. They serve proper cocktails and a large selection of craft beers. And, of course, burgers to keep you going all night. Bar Oldenhof recreated the feeling of an old-fashioned hotel bar and turned it into a less stiff concept. Expect a superb collection of classic cocktails as well as single malt whiskies, fine wines and craft beers. The way they handle all they do with prestige and yet created an easy-going atmosphere is the reason they belong on every best Amsterdam cocktail bar list! Cocktails and Karaoke. What’s not to like! 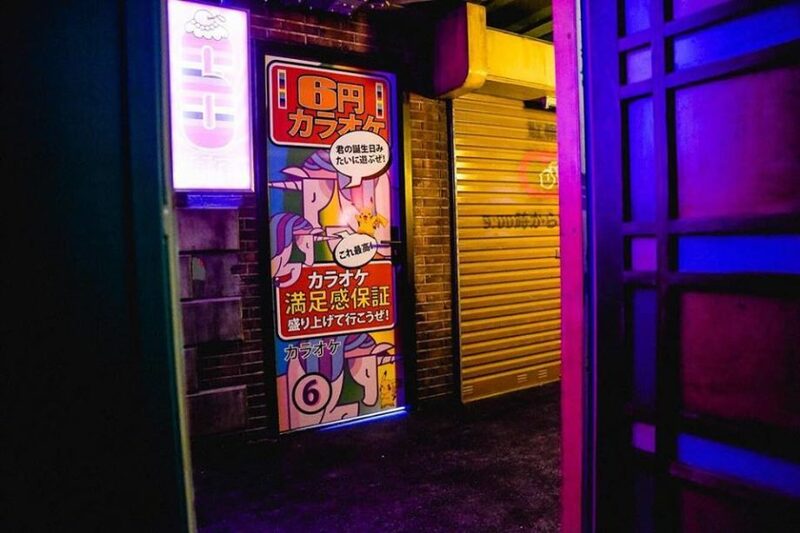 Duke of Tokyo takes you right to the streets of Tokyo with their awesome interior. Gain some courage with one of their delicious Japan inspired cocktails before you head over to one of the 8 booths to let your inner Beyonce out. The rooms are suitable from 4 up to 20 people in the biggest room. On weekends the bar turns into a lively club with DJ’s playing anything from R&B to house. Hiding in Plain Sight is a small hidden gem in Amsterdam. This warm and cozy cocktail bar makes for a lovely spot to spend your evening. The staff here will make sure you’ll feel right at home with their friendly and smooth service. Ever so often they completely change their menu, with a new theme and new incredible creative cocktails that will for sure surprise your palette. Rosalia’s Menagerie, located on the Amsterdam canals, is filled with intriguing items the owners gathered during their travels which gives this cocktail bar an enchanting atmosphere. The cocktail menu tells stories of legends and myths, with a lot of option using locally-made spirits. The drinks are mixed with skill and flavor descriptions that keep the unknown accessible. Even the bar bites are not your average. Cheese platters, oyster and gyozas; they sure know how to keep you coming back for more! Miss Moneypenny is located within walking distance from Dam Square and is, besides a restaurant, a place to get amazing cocktails. 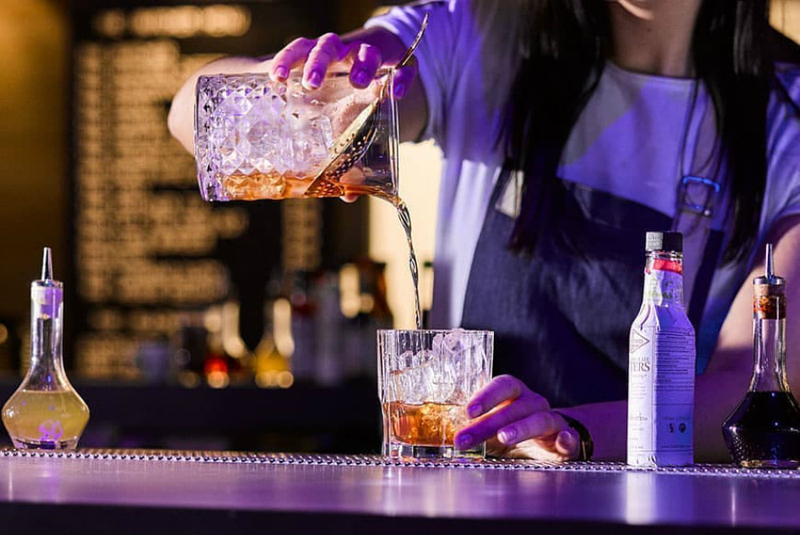 Both their signature and classic cocktails are prepared with the best spirits and fresh ingredients, making every one of them worthy of tasting. One of the favorites is the Gimme some Gummy prepared with Chase crisp gin, homemade hibiscus syrup, thyme, gummy bears and tonic. Or how about the Cloud 9? This one is served with Kura vodka, merlet pear, rose water, choco bitters and lemon! Cocktail bar NJOY is located near the city’s nightlife center Leidse Square. Their list of cocktails is extensive, with true classics, signatures and modern takes on traditional mixes using rare spirits from all over the world. Even if you’re looking for a good glass of champagne or wine, NJOY will satisfy your cravings. Their ambiance is relaxed, with vibey tunes and bartenders that take their task serious. 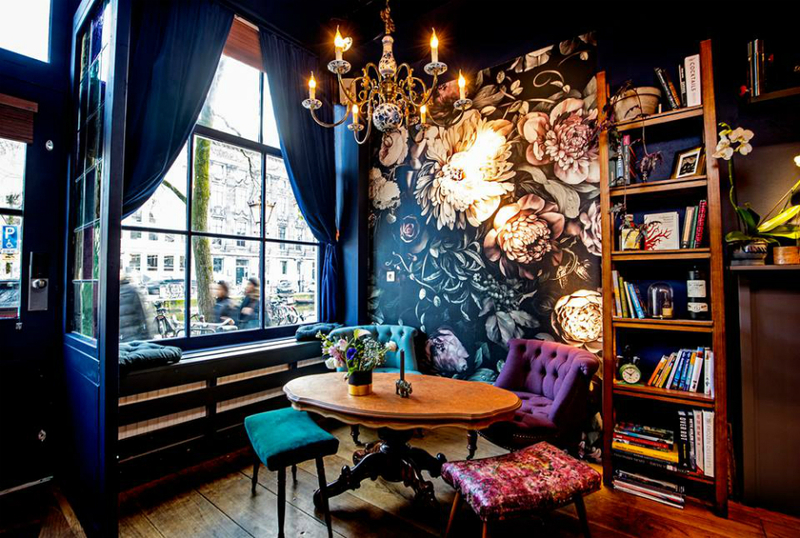 It’s a perfect spot to start before heading into Amsterdam’s bustling nightlife! One of the coolest Amsterdam cocktail bars is located on the top floor of the luxurious W hotel. 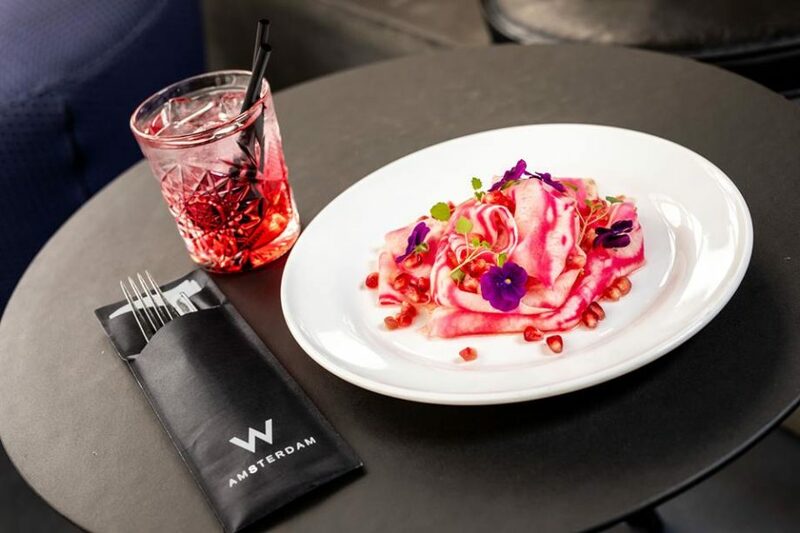 The W Lounge offers a stunning 360-degree view over part of the city and the historical Royal Palace located on Dam Square. Enjoy their perfect bar bites with cocktails that are applauded by connoisseurs. You’ll taste that they know what’s good and new in the world of mixology. On sunny days you can take your drinks outside for an afternoon of relaxing at their rooftop pool! The bar often hosts events and weekend DJ performances, which makes it the perfect after work spot for both locals and business travelers. Have the bartender mix your favorite drink, mingle and lounge your way through the evening! The House of Bols is not really a cocktail bar but more of an experience. Amsterdam has a rich history when it comes to distilling and you can learn all about it during a unique Cocktail & Genever experience just a stone’s throw away from Museum square. Explore your senses with various exhibitions, tastings and smell challenges. 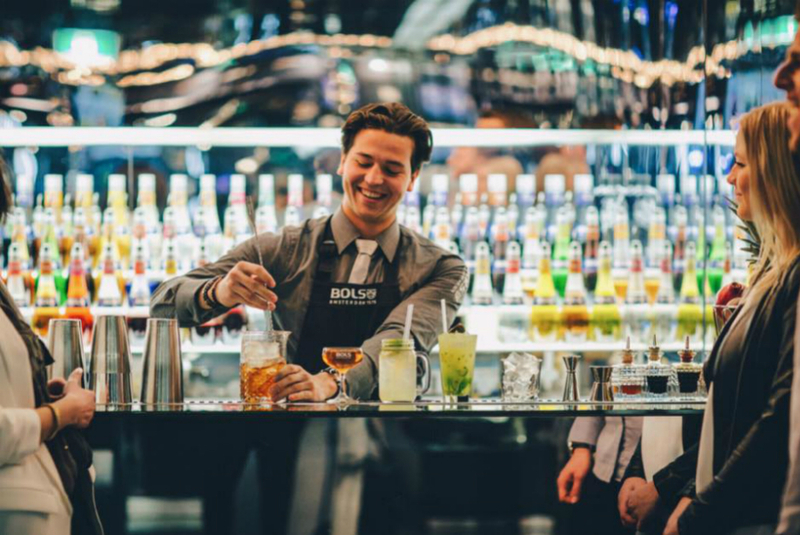 After the interactive tour, the Bols bartenders will prepare a tasty cocktail for you and gladly share some tips & tricks so you can impress your friends! Now you know where to head when looking for the perfect cocktail. More on bars in Amsterdam? Check out the ultimate bar guide we created with a list of beer café’s, the best rooftop bars, sports pubs and more!